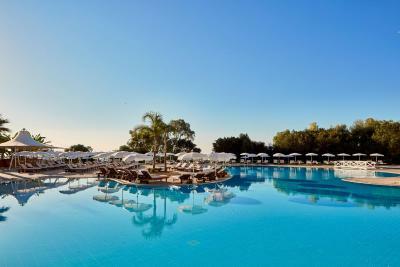 Lock in a great price for Grecian Park – rated 8.9 by recent guests! The best breakfast we ever had, staff was exremly friendly. excellent facilities like the Gym and tennis courts. Great Japanese and Italian restaurant. 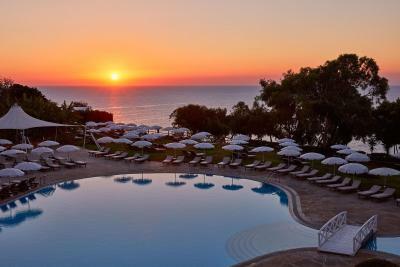 The hotel is located just 10 minutes walk from the best beach in Cyprus( konos beach). 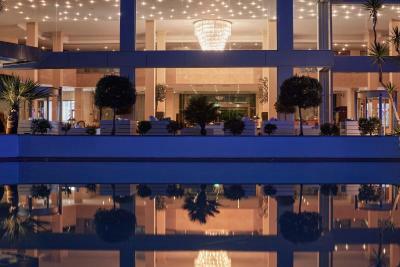 Just 5 minutes drive to Protaras Center. definitely we will come back again. Excellent staff, very clean and great facilities, breakfast was good too. Excellent location and view, great service and facilities! 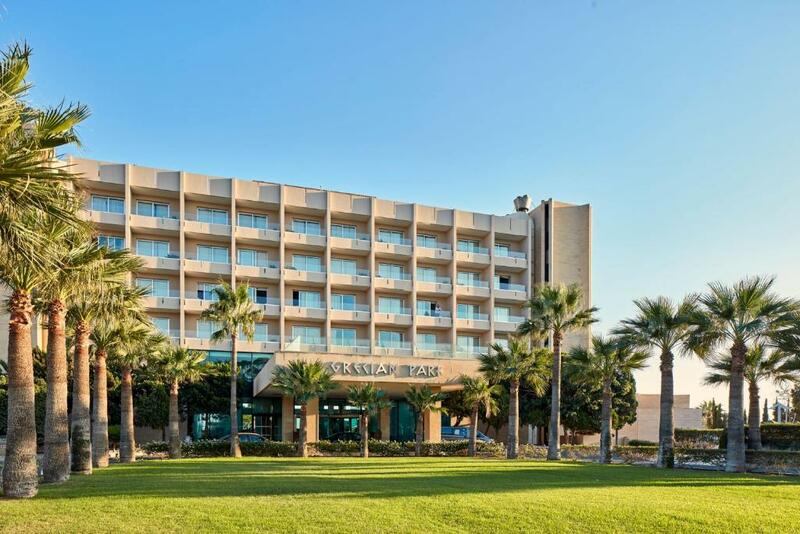 Grecian Park This rating is a reflection of how the property compares to the industry standard when it comes to price, facilities and services available. It's based on a self-evaluation by the property. Use this rating to help choose your stay! 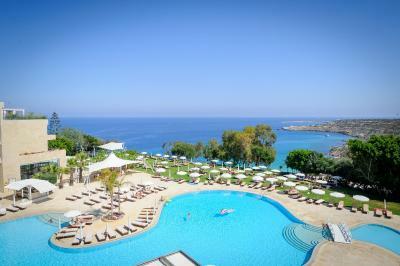 Located 650 feet from Konnos Bay, 5-star Grecian Park offers 2 restaurants and 2 pools. 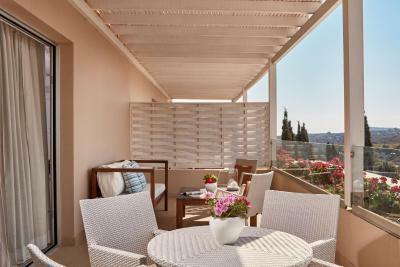 Rooms have a balcony overlooking the Mediterranean or gardens. A spa and 2 tennis courts are featured. 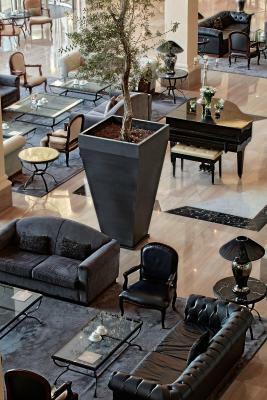 Each air-conditioned room has modern decoration and carpeted floors. All accommodations includes Radio on TV, air-conditioning, mini-bar, free digital safe box, coffee/tea making facilities, free toiletries, free Wi-Fi, Slippers & Bathrobes, and hairdryer. Room service is available 24/7. A rich buffet breakfast is served daily, while Umi restaurant prepares Japanese food including sushi. Exotic finger food is offered at the Cliff Bar with views of the bay. Children can swim safely in their own pool, while there is also a kid’s club with designated stuff for junior guests between 4 and 11. Children TV networks and strollers are also available. There is an on-site shop that sells gifts and accessories. Free WiFi is available in all areas. Grecian Park is just 650 feet from the Cape Greco Park and 4.3 mi from the Ocean Aquarium Park. 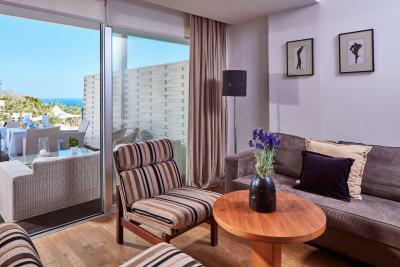 Lively Ayia Napa and Protaras are just a 5-minute drive away. 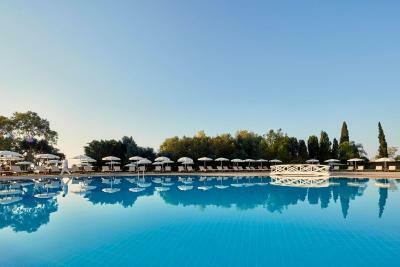 When would you like to stay at Grecian Park? Opening to a balcony with garden views, this air-conditioned room is equipped with electronic locks, LCD satellite TV, soundproof windows, mini-bar, digital safe box and free WiFi. 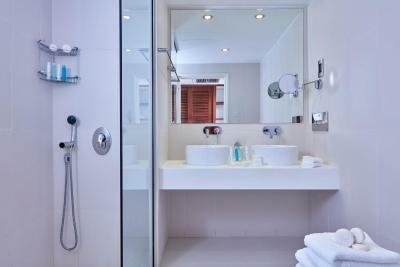 The marble bathroom comes with bathrobes, slippers, free toiletries and hairdryer. 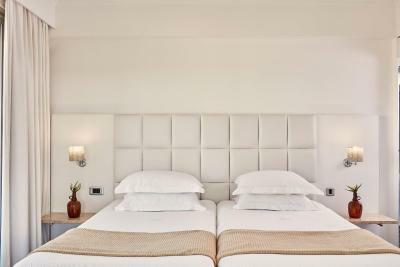 Turndown service is provided and room service is available 24/7. Beach and pool towels are provided. 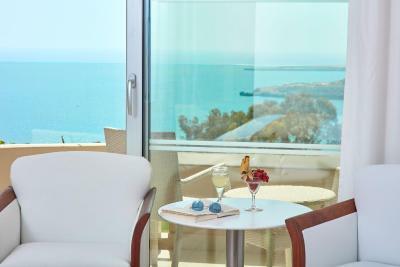 Opening to a balcony with partial sea view, this air-conditioned room is equipped with electronic locks, LCD satellite TV, soundproof windows, mini-bar, digital safe box and free WiFi. 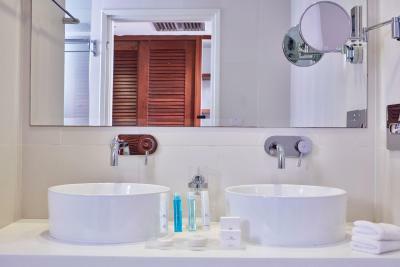 The marble bathroom comes with bathrobes, slippers, free toiletries and hairdryer. Turndown service is provided and room service is available 24/7. Beach and pool towels are provided. 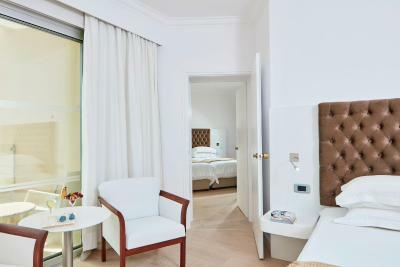 Opening to a private terrace with views over the Mediterranean Sea, this spacious suite has a bedroom, a separate seating area and a marble bathroom with bathrobes, slippers, free toiletries and hairdryer. 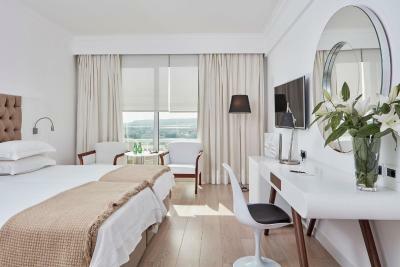 Facilities include electronic locks, LCD satellite TV, soundproof windows, mini-bar, digital safe box and free WiFi. Turndown service is provided and room service is available 24/7. Beach and pool towels are provided. A bottle of water and a basket of fruits is offered upon arrival. 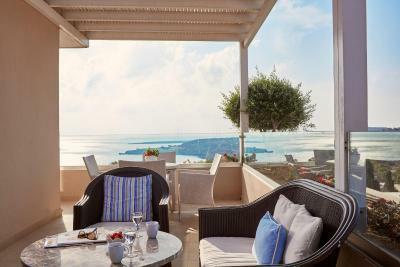 Overlooking the Mediterranean Sea from its private balcony, this air-conditioned room is equipped with electronic locks, LCD satellite TV, soundproof windows, mini-bar, digital safe box and free WiFi. 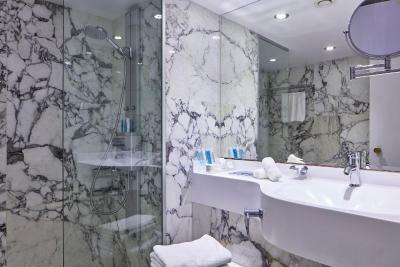 The marble bathroom comes with bathrobes, slippers, free toiletries and hairdryer. Turndown service is provided and room service is available 24/7. Beach and pool towels are provided. 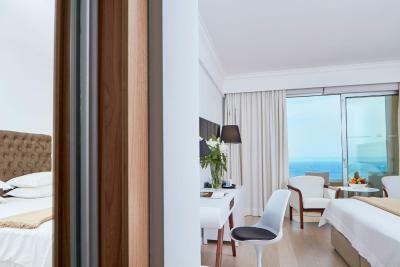 Opening to a balcony overlooking the Mediterranean Sea, this executive room is fitted with a double bed and a sofa bed. 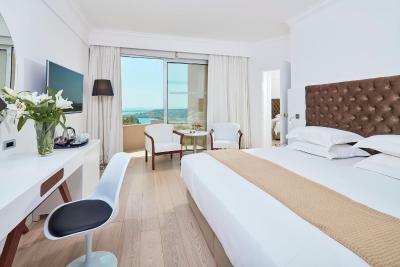 Facilities include electronic locks, LCD satellite TV, soundproof windows, mini-bar, digital safe box and free WiFi. 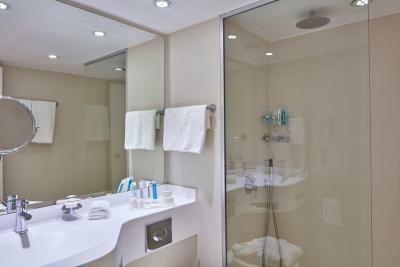 The marble bathroom comes with bathrobes, slippers, free toiletries and hairdryer. Turndown service is provided and room service is available 24/7. Beach and pool towels are provided. 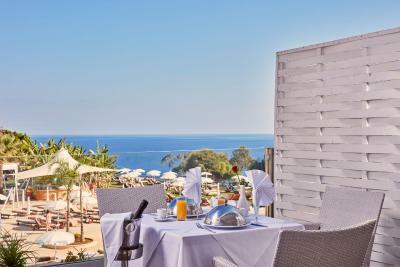 Opening to a balcony overlooking the Mediterranean Sea, this princess suite has a bedroom, a separate seating area and a marble bathroom with bathrobes, slippers, free toiletries and hairdryer. 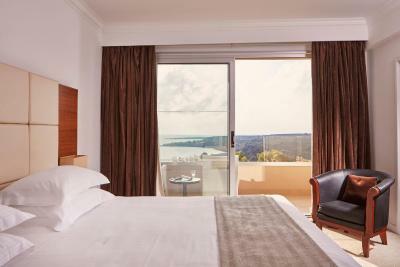 Facilities include electronic locks, LCD satellite TV, soundproof windows, mini-bar, digital safe box and free WiFi. Turndown service is provided and room service is available 24/7. Beach and pool towels are provided. 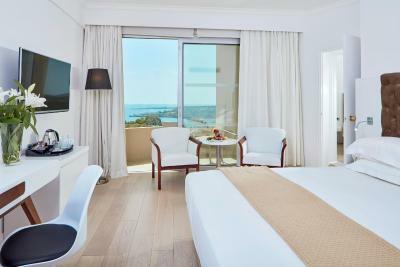 Opening to a spacious terrace with views over the Mediterranean Sea, this spacious suite has a seating area and a marble bathroom with bathrobes, slippers, free toiletries and hairdryer. 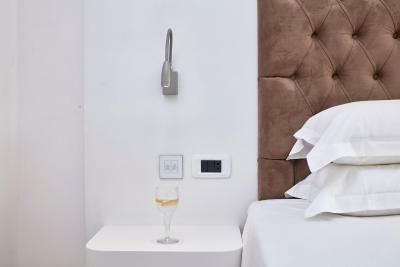 Facilities include electronic locks, LCD satellite TV, soundproof windows, mini-bar, digital safe box and free WiFi. Turndown service is provided and room service is available 24/7. Beach and pool towels are provided. 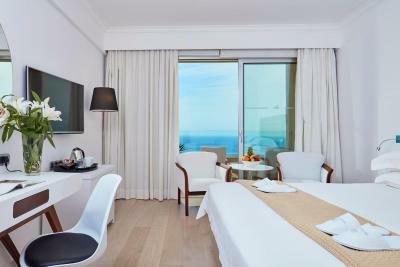 Opening to a private balcony overlooking the Mediterranean Sea, this deluxe, spacious suite has a seating area and a marble bathroom with bathrobes, slippers, free toiletries and hairdryer. 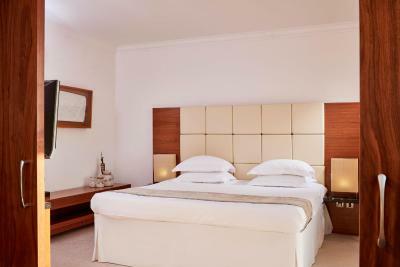 Facilities include electronic locks, LCD satellite TV, soundproof windows, mini-bar, digital safe box and free WiFi. Turndown service is provided and room service is available 24/7. Beach and pool towels are provided. 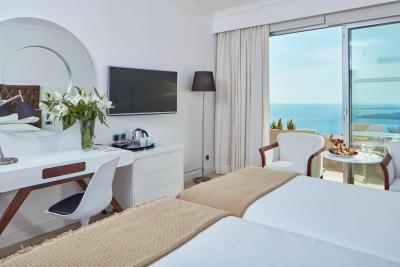 Opening to a private balcony with views over the Mediterranean Sea, this spacious suite has a seating area and a marble bathroom with bathrobes, slippers, free toiletries and hairdryer. 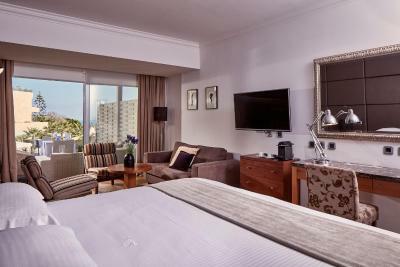 Facilities include electronic locks, LCD satellite TV, soundproof windows, mini-bar, digital safe box and free WiFi. Turndown service is provided and room service is available 24/7. Beach and pool towels are provided. Please note that the child will be accommodated in a single extra bed. 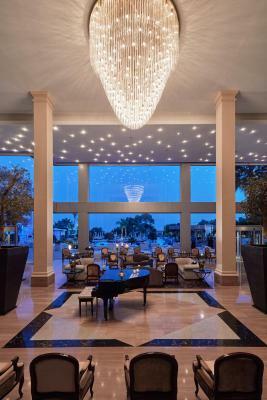 The unique selling points of the Grecian Park are the exotic CLIFF BAR and the gastronomic delights of our UMI Japanese and Sushi Bar Restaurant and our RAVIOLI'S Italian Restaurant. These outlets are open over the summer period. 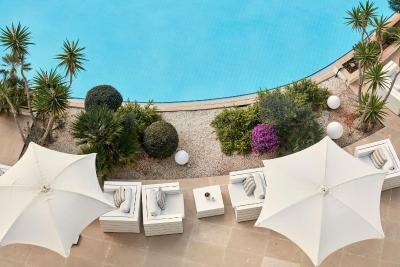 Throughout the year, our guests are able to enjoy stunning views of the Mediterranean as well as the services of our relaxing and rejuvenating Spa and Wellness Centre. House Rules Grecian Park takes special requests – add in the next step! Grecian Park accepts these cards and reserves the right to temporarily hold an amount prior to arrival. Please note that the UMI Japanese & Sushi Bar Restaurant, the Cliff Bar, the PLIN-2 Night Club and the Ravioli's Italian Restaurant only operate during high season. Please note that during evening hours a long-trousers dress code is effective in most bars and restaurants, excluding the UMI Japanese & Sushi Bar, the Ravioli's Italian Restaurant and the Cliff Bar. Gentlemen are required to wear long trousers. Please note that a smart casual, long-trousers dress code is also effective at the Antaeus Restaurant. Also note that from January to March, not all facilities and restaurant operate. Please inform Grecian Park of your expected arrival time in advance. You can use the Special Requests box when booking, or contact the property directly using the contact details in your confirmation. The place is excellent, great food and very friendly staff. Dinner has a dress code that needs to be observed. But there is also an excellent Italian restaurant 2mins from the hotel. We ended up requesting a room change because our original bathroom was not up to standard (dated, low-end shower, slow drain, broken garbage can, malfunctioning hair drier). Our second room remedied all of those issues (and we got upgraded to a sea view which was a very nice bonus). Ordered food by the pool which arrived nearly cold but it was still delicious. What a gorgeous property! 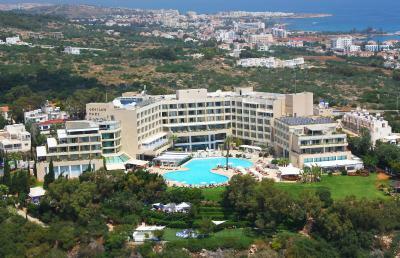 Loved all the facilities: the pools, the lobby, the beach, Cliff Bar, the restaurants. The breakfast was outstanding!! They had me at the fresh squeezed orange juice and free mimosas :) Phenomenal service, just as you would expect from a 5 star resort. Really lovely food at the restaurants (highly recommend the black truffle ravioli from Ravioli's!). Exceptionally fast Wifi (we were able to stream the new episode of Game of Thrones no problem LOL). I would absolutely stay here again! One thing I would comment on is that if you wanted to order a drink or food by the pool you had to go up to the pool bar to place your order. That's fine as I'm able bodied and walking a couple of metres isn't a big issue, but perhaps I'm a little spoilt here because in Dubai at 5 star hotels, when I've gone to use the hotel pool for the day, the staff walk around so you can signal the nearby staff and you can place an order with them or use the Wi-Fi to order something via WhatsApp. 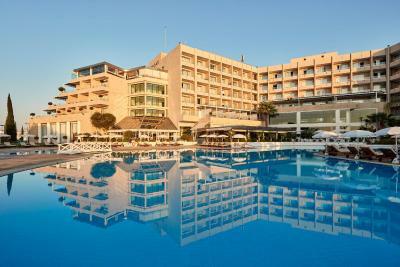 For over €200 a night stay and marketing as a 5 star hotel at the Grecian Park hotel I half expect service by the pool. This didn't overall detract anything about our stay here, just something I noticed if I'm comparing to other hotels. 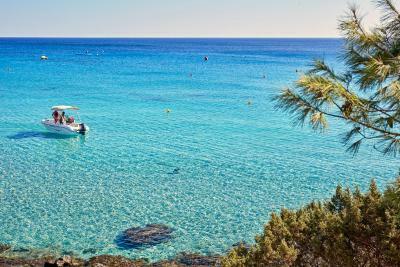 My friend and I chose to stay here because of its proximity to Cape Greco national park and Konnos Bay. We wanted a relaxing holiday and to be away from the crowds. The Grecian Park hotel ticked those boxes for us. 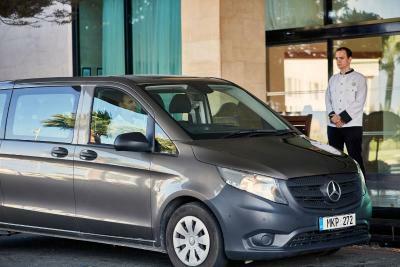 They provide a free shuttle to their sister property the Grecian Bay hotel which we used twice when we wanted to check out Ayia Napa at night. Food at the hotel was nice and the servings were large, we ordered a side of sweet potato fries which were just as big as the salads. Breakfast Buffett has lots of variety and even offers sparkling wine. 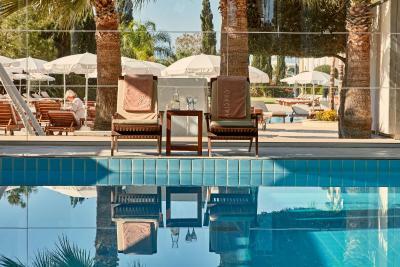 My friend and I even commented on the quality of the coffee served at breakfast, as part of our jobs we both fly around the world and stay at 4 and 5 star hotels and the brewed coffee at Grecian Park was one of the better tasting ones from a breakfast buffett. Although, I have to mention, next door to the hotel is a great family run restaurant called Spartiatis which we had lunch at twice as the food there was amazing! We spent most of our days tanning by the pool and spent a day walking the trail to the Agioi Anargyroi chapel and then walked back to enjoy Konnos Bay beach. You can easily do the walking trail in flip flops. 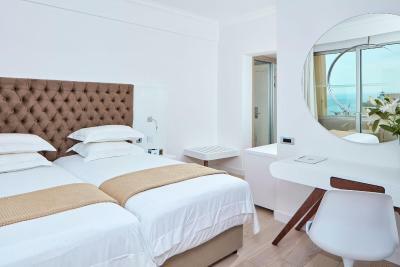 Hotel facilities were clean and the rooms were of decent size and cleaned well. Although housekeeping kept the ice bucket we had ordered the first night in the room after cleaning the room and we had to put it outside on day 3 as it still hadn't been removed from the room. Not a big deal though. Other great things about the hotel: Air conditioning in the room worked well, Wi-Fi was fast and didn't drop out. Good selection of tv channels too. The toilet was abit smelly in the room. Pedicure was horrible. 50euros for pedicure!!! And i left with dead skin still on my feet and the nail polish did not dry completely even the next day. The room was amazing, especially the view!!! 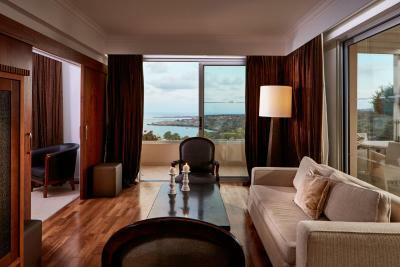 Don't consider taking a room without a sea view, you will be really disappointed. We took a sea view room and it was so worth it! The staff was super nice, the location amazing, super beautiful beach. I think it was coming to the end of the season, so the bars on & close to the restaurant were often closing early evening; but this is a minor thing which did not detract from the wonderful holiday experience. Liked every moment; from the moment we arrived and the kind reception received, to the clean hotel room, the delicious breakfast and pool food, the well equipped gym & entertainment facilities, to the ease of checkout. Was really a well organised and friendly operated hotel. While the spa treatments I had were really good I felt that the spa itself could be made to be much more luxurious with a few changes to the decor and environment. The room was great very comfortable. The bed was also really comfortable - just what I was looking for. 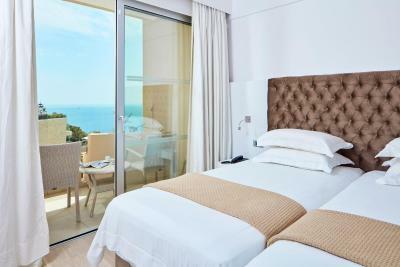 The hotel is located on a cliff with a very nice view to the sea. 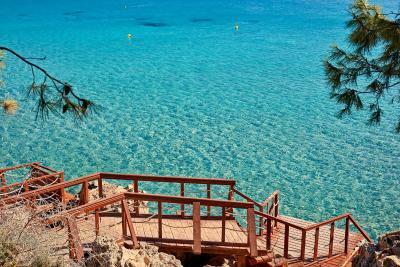 The beach is accesible only by stairs (100) and the hotel does not have sunbeds, so you have to pay, but its only 2,50 per sunbed. 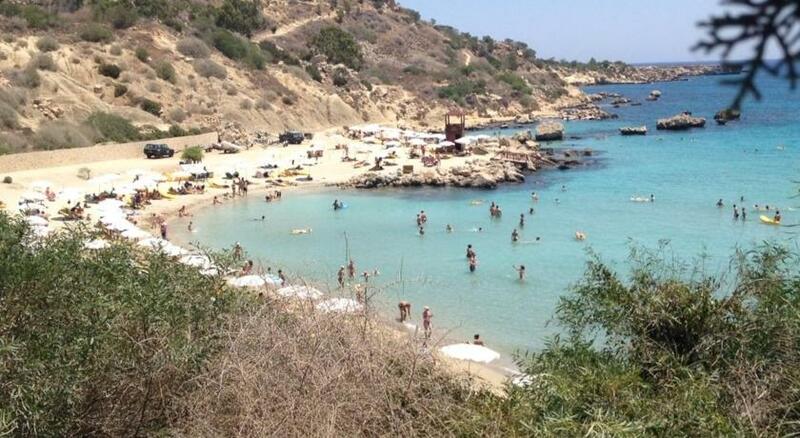 All cyprus beaches are public, this is the reason. Amazing hotel, the facilities are great and also the food. 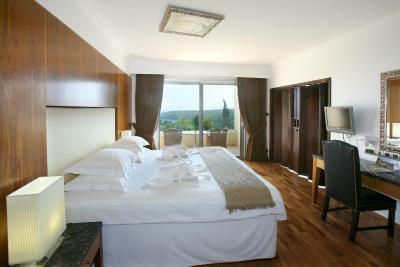 We got the family suite, wich was very confortable for us and our two kids. The staff is incredible, always smiling and willing to serve. A la carte resturant, even with full board plan we bought, and 2 more restaurants japanese and italian. No Complimentary Drinking water supplied. Had to purchase our own. Should provide one large bottle per room per day as tap water not drinkable. More the principle than the cost.